On another note, I had one area of concern with the installation. I called the office in the morning and a crew showed up to repair that afternoon. This is kind of service you hope for, but very seldom receive. Again, Thanks to you and your entire staff. Please be assured that I will recommend your company to anyone I know. If you ever need a recommendation or would like to use us as a reference, we would be happy to assist in any way we can. Just a quick note to thank you for your prompt professional service on the installation of guttering at my home, they look great and the color match is perfect. My wife also appreciates the extra attention given to the placement of the gutter chains so they could be seen during a rain. Joe's Guttering installed gutters on our home ten years ago and we have always been pleased with the results. Mr. Joe Emanuel and his crew of men were skilled and very professional. They showed up on time, worked until the job was completed and did a great job of cleaning up before leaving. We have had the opportunity to recommend Joe's Guttering to other people and have received very favorable comments from them about the work done on their home. WOW! We love our gutters! We have a difficult shade and Joe's Guttering matched it perfectly. They were always on time and professional. 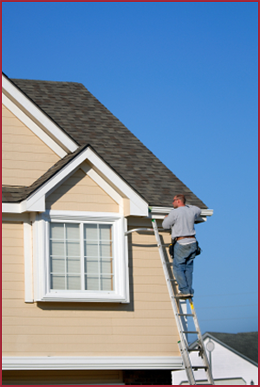 We would recommend them to anyone looking for new gutters.